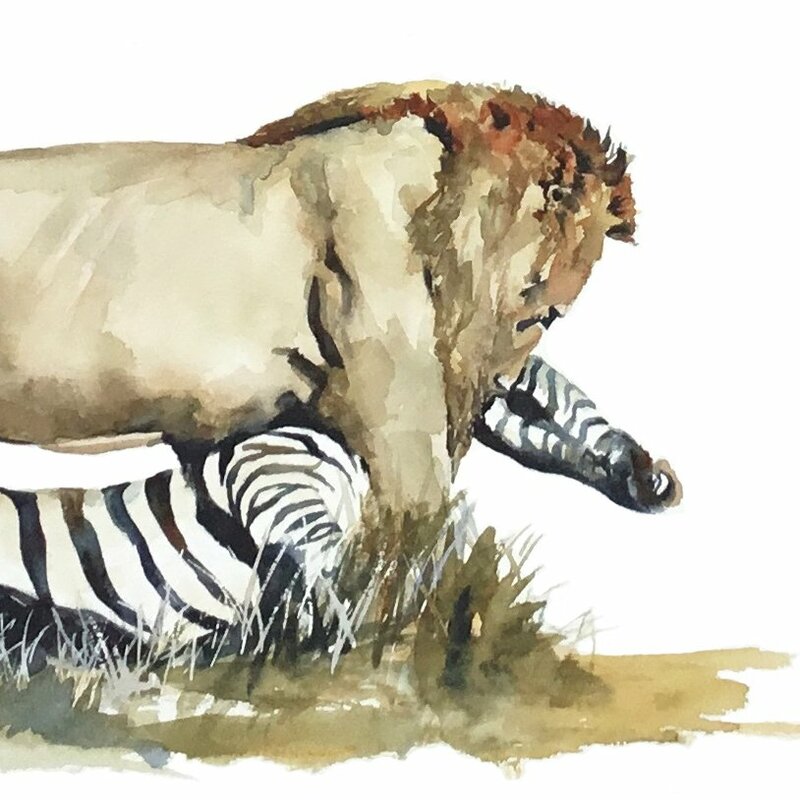 Original watercolour painting of a lion dragging his zebra kill. 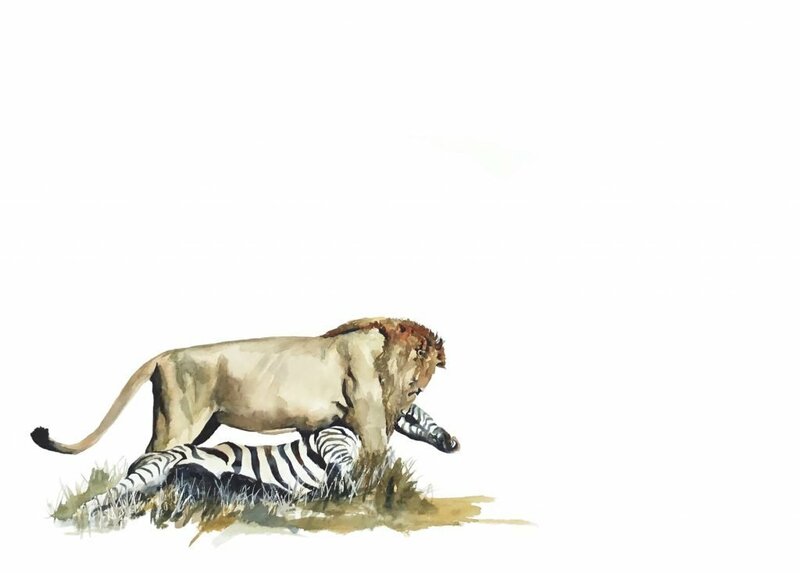 Wildlife painting of a lion with a zebra kill. A male Lion is 1.2m tall at the shoulders and has a mass of up to and over 200 Kg. 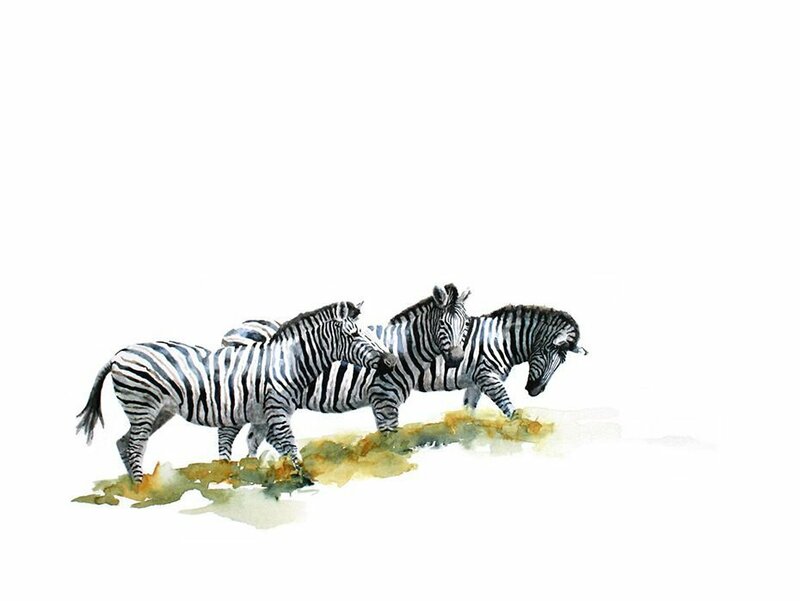 Females are slightly smaller and weigh about 130 Kg. Their underparts are whitish with a general tawny to sandy tinge. Print lion roaring. Rosettes and spots are characteristic of young animals and females often retain these on their underparts. Only males have a long tawny mane on the sides of the face and on top of the head. 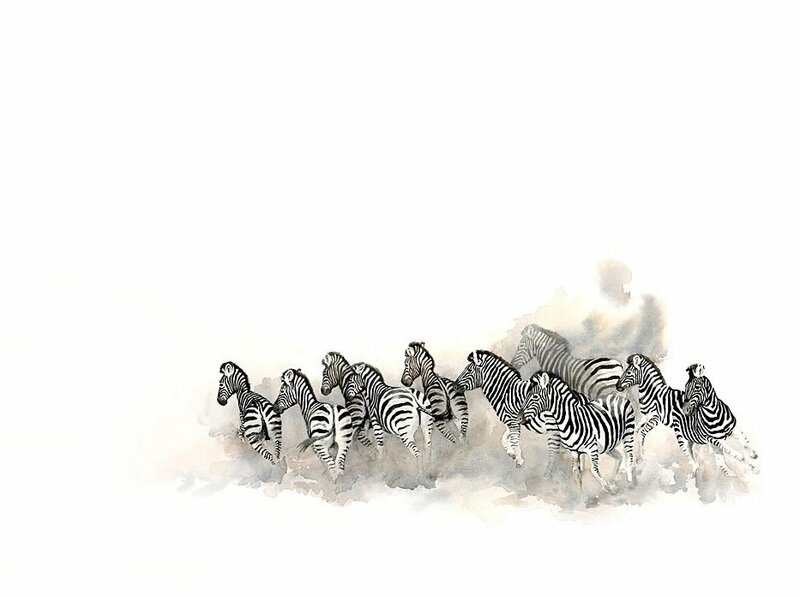 In some individuals, this mane can become almost black.